— Finding an affordable place to live in retirement has become a real necessity for today’s retirees. That’s because about half of them say they are worried they won’t have enough money for a comfortable retirement. There are plenty of “best places to retire” sites that offer to help. But would you actually want to live somewhere just because it’s cheap? Here is a list of 10 affordable place to retire – communities so nice you might actually want to retire there! For the record, the NAR reports of the national median to be $205,200 in 1st Q 2015, while Zillow reported $179,000 in mid 2015. Since information on affordable places to retire was a top request in one of our member surveys – Downsizing, Renting, Affordability Dominate…, here we go – “10 Affordable Places to Retire Where You Might Actually Want to Live”. – Minimum average temperature of 20 degrees (F.). Not exactly tropical, but we did exclude the coldest cities. We are indebted to our friend Ed LaFreniere for the way we identified these 10 affordable places to retire. Ed recently mentioned to us that he thought the Advanced Search at Topretirements was the best retirement calculator he has seen – much better even than our Retirement Ranger. So, using Advanced Search, we selected the above criteria and off we went. Advanced Search came back with 58 towns/cities (out of 1046 reviewed at Topretirements), some of which were non-U.S. locations. That list provided our source for these 10 Most Affordable (and Livable) Towns. (A note about home prices used here. Depending what is available, we use City-Data.com, the National Association of Realtors (NAR), or Zillow.com, sometimes more than one. They often report very different figures). 1. Gulfport, Florida. This cute little town is on the same peninsula as St. Petersburg. There is a small downtown, great community center, Casino (dance hall), and beautiful beaches and bays. It is decidedly low-key, but has the advantage of being just outside St. Pete and its many attractions. City-Data.com reports the median home sold for about $90,000 or less in late 2014, while Zillow says it was more like $136,100 in 2015. No Florida state income tax is another attraction. 2. Grand Rapids MI. Located on the eastern side of Lake Michigan, Grand Rapids is doing better than much of Michigan. It has a fairly healthy economy and rich cultural environment. Locals are proud of their city and its many attractions. Median home sold for about $115,000 late 2014 according to City-Data.com and $137,000 (NAR). On the downside, winters are chilly here and Michigan’s fiscal woes are real. 3. Greenville, NC . This all-American city is suitable for all ages as well as retirees. The population grew 47% between 2000 and 2013. A college town, East Carolina University has 26,000 student. The county has 20 parks, 4 lakes, and at least 6 golf courses. City-data reported the median home sold for about $150,000. 5. Des Moines, Iowa. This Midwestern city in the center of Iowa is another college town, thanks to Drake University. It is also an important insurance center. The NAR reported the median home sale at $164,300 in early 2015, while City-Data.com said it was more like $120,000. Thanks to the Iowa caucuses, politics are an interesting part of life every 4 years. 7. Lincoln, Nebraska. It’s the capital of Nebraska with over 250,000 residents. Those who live here are happy to host the Cornhuskers (U of Nebr.) and over 100 parks. The median home sells for $150,000 according to the NAR, while Zillow reported it at about $10,000 lower. Unemployment is around 3%. 8. Tulsa, OK. 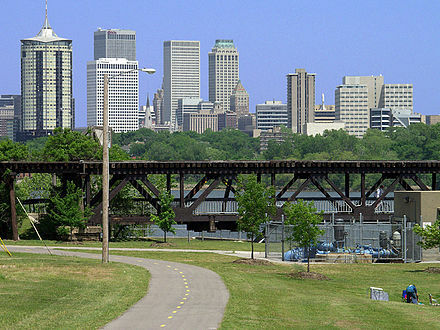 This wealthy city is the center of the Oklahoma energy industry and has had quite a recent resurgence. It is proud to have many amazing cultural institutions, including the Philbrook Museum and many others. The city has 135 parks. Crime rate is high overall, like many cities, but has many lovely neighborhoods too. The median home sold for $145,100 in early 2015 according to the NAR. 9. Knoxville, TN – Home of the Vols, the University of Tennesee, this college town is fun and relatively inexpensive. The median home price according to City-Data.com was just over $170,000 at the end of 2014, and $149,200 in 2015’s first quarter (NAR). Topretirements shows 9 active/retirement communities in the Knoxville area. Fort Myers, FL was our 10th city when we wrote this article in 2013. Since then home prices recovered nicely in Fort Myers, so well in fact that we can’t say it is affordable anymore by our standards. The median home price was $146,000 (NAR) in 2013, and is now $208,000 in early 2015. Our list of 10 is by no means exhaustive – there are many more livable and affordable places to retire. Make your own list using Advanced Search to define your own selection criteria, including regional, state, and climate preferences. This isn’t the first time we have come up with a list of affordable places to retire. Check out our previous lists! You must be on the east coast since you seem to always stress that area of the country. Editor’s note: Yes, we are on the east coast but try very hard not to forget our left coast brethren. In this case not much showed up on our Search for western affordable communities that also met our criteria for high culture. Phoenix area and Las Vegas areas would have definitely made the lists last year, but home prices have gone up. If you know of some affordable places that have other good reasons to live there in the west, we are all ears! In my search criteria for my next home. the high temperature is extremely important. I would never move to FL, MS, or anywhere else in the south where it gets miserably hot. Those of us out West would also eliminate Phoenix, Las Vegas, Tucson, and other Desert locations. You should provide more information. For example what is the educational level of the residents. You indicate low priced houses but are they in the slums? Pittsburgh is a nice place to live, but it is hilly and gets a lot of snow. Youll love florence oregon . Half population are retirees, beautiful place, lots of free outdoir activities, beach and lakes everywhere. Senior friendly town , good hospital, library, senior center, Old town has restaurants and shops, thrift stores and antique stores abound. Community college and a flourishing events center hostimg cultural events. Small town , friendly people. One hour from bigger cities and airport. Coastal temps, winter is rainy but summers are gorgeous. Love being retired here. Green beauty everywhere! Florence oregon has no sales tax! And everything else is very afforda ble! My Question relates to the Sarasota/Bradenton Florida Area.In Researching 55+ communities their is no shortage of expensive housing (200+) or manufactured housing (<100). Does anyone know of any communities in this area in the 125 to 200 price. enjoyed the blogs ..as always..good to share info..and ‘humidity data’ is importand..as it can be miserable to live in for long periods..I keep a few cities in my weather reports and always check the humidity.. just to see if we could live there..a good example was Summerville SC that we liked very much ..but it was not suprising to see 100% humidity for weeks at a time..
What about st Louis, mo. Thinking of retiring there…excellent medical, cost of living low, taxes seem average to low for retirees, lots to do, political climate is mixed, transportation is good, buses, metro link, Amtrak, international airport….lots of universities…pockets of neighborhoods with ethnic flair….free zoo…botanical gardens….museums…and the list goes on. Midwest weather….can’t have it all. I am looking for some place that is affordable and is VERY LIBERAL! Please keep in mind that some retirees don’t have a huge pension or a big monthly income. Pittsburgh, PA, you can have it. I have visited there a few times since I live in PA and that is the most boring place I have ever been. People didn’t see all the friendly either. It’s not that humid all the time. Perhaps you developed a habit of checking the weather at the same time each day? Summer humidity levels in the Southeast are going to be highest overnight and early a.m. As the temperature rises during the day, humidity levels drop. This is why you’ll see, even in Florida, misters used at places like golf driving ranges. Because even in warm, more humid Florida, evaporative cooling can be effective. Though it would never be recommended for indoor use like it is out west. Happy hunting for your perfect climate! Having worked for an airline for almost 30 years, I have visited many cities and feel reasonably qualified to comment on their good and bad points. Re: St.Louis, it is not just the Midwest weather, it’s the WORST of the weather! In the summer, it is miserably hot and humid just like the Southeast. In the winter it’s not snow, but ice, even worse, that plagues STL. And rush hour traffic can be horrendous. Otherwise, everything positive you said about it is correct, Iwashere! The Botanical Gardens are some of the best I’ve ever seen. This may not work for everyone, but I have been reading this blog for a year and am overwhelmed by the many choices. I now try to limit my choices to towns west of I95. I have learned on this site that east of I95 is more humid, more prone to hurricanes and other storms, and thus more expensive for homeowners’ insurance. It also seems to be more expensive and more congested. I have not found a retirement community I even want to visit yet. But I have narrowed my search from Central America to western North or South Carolina near a lake and given up my lifelong dream of living near the ocean. Maybe. Those folks concerned about humidity, check the dew point. This tells you how humid it really is. Less than 40 is desert like, up to 55 feels nice, 60 plus sticky, 70 jungle like. Is anyone out there from Delaware?? I live in NJ now the property taxes are a killer! What are the best areas, and affordable. What do you like about the state? Humidity is a huge factor if you like playing outdoor sports such as golf or tennis even in your retirement. Also keep in mind problems such as Asthma and other breathing issues as we age. My wife and I have looked and looked up and down for a livable place where I can play golf 3x a week and she can enjoy being a Catholic. We are both on the liberal side politically and certainly don’t want to move into the middle of a right wing community, nor would they enjoy our frustrations there. Briefly, we’ve tried Sarasota and all we can say is why would anyone live there from April to October? Store owners tell us they pack up and go North in the summer months. Probably the best area in Florida is Jacksonville as to the climate and less hurricane threats due to the off shore currents. But that can be very expensive. The panhandle part of Florida is referred to as the “redneck riviera” and that says it all. If you want central Florida, check the amount of rain and lightning storms….it leads the nation in serious lightning strikes. Then there are places such as North Carolina and South Carolina. Taxes are worse for retirees in NC but so is the political climate there. Ideally the Triangle area (Chapel Hill-Durham-Raleigh) is best for fantastic medical facilities, excellent educational or learning opportunities, very good airport and easy travel. As for South Carolina, humid is the word. My worst experience was taking a son to play football for Clemson and dying with every step as the water dripped off of me. I asked the coaches how players could practice in such conditions and they told me you get used to it. Not me. So, in summary, anyone considering moving in retirement really needs to check the liveablity, the economics, the available medical and attractions of an area. It isn’t easy getting old which is why it is for the tough! Good luck to all. Larry in PA….Tucson az is affordable and very liberal. Big college town, huge music town with many live music venues every night, 4th street area is total hippie-ville. Reminds me of San Francisco except for hills and weather. MJ….the humidity isn’t the issue…it’s the dew point. Dew point is what causes you to feel the humidity in the air. I raise this point because if you only look at humidity you will be misled. For example the humidity in San Francisco doesn’t appear that different than New York. Yet having lived in both they feel very different. That is because dew point on east coast is higher than west coast. According to the Wikipedia article on dew point, anywhere in the 50s is comfy, below 50 starts to feel dry, 60 and above moves into humid, and above 79 can actually be lethal to people with lung issues. Cherie..appreciate your comment. I guess it’s all relative with the weather. Seems like the places that have the best overall weather are the costliest. I’m from California but can’t afford to live there in retirement. I live in Arkansas now and the weather is pretty similar to st Louis…but….I will gain a lot in transportation, medical, universities, even lower cost of living, and will be out of the bible belt and in a mixed ethnic and political environment….with a lot more to do. I don’t plan on driving during rush hour and the ice is something both areas get occasionally, so I’ll just stay in. Plan on continuing to spend a few months in the winter in the redneck riviera (which is full of east/Midwesterners) during this time. I’ve been researching for awhile and every place has its problems…you have to lay it all out and find what is important to you and see where you can get the most bang for your buck and have the amenities that you want. After living in the south … I am so ready to get back into diversity. Larry in PA: The Pioneer Valley of Western MA, known as the “Five Colleges” area, might be worth a look. Although the towns of Northampton and Amherst are getting pretty pricey, if you go a bit further into the country you’ll find quite a few artsy little towns that are very affordable. I’d also recommend Greenfield, MA, a short drive from either Amherst or Noho, which is the friendliest little town you ever did see and just a joy to walk through (no Walmarts in Greenfield!). Food co-ops & good health care & a terrific mix of people. But if you go TOO far west, you’ll wind up in the Berkshires, which are beautiful but expensive. Nice for a day trip, though. I should also mention that the PVTA public transit system has buses running between many of these towns. MJ – I found your analysis very useful (thanks for saving me some work). If we move up the coast and eliminate West Virginia (due to taxes on Social Security and some other issues), has anyone weighed Virginia as a retirement destination yet? About humidity. Ginger is right on. I studied Dew Point at various times of the day for Daytona Beach FL (was considering relocating to Ormond Beach) and Annapolis MD (where I lived for 30 yrs). My study was done for 263 days over the period from June 2011 to August 2012 (~395 days). The dew point in FL was over 70% for 153 days but only 45 days in Annapolis. THIS tells the story. And, data indicates the West coast of FL is worse due to the lack of ocean breezes and central FL (Orlando, etc.) are also worse due to the inland location. In Phoenix, we do have hot summer days, but not that oppressive East Coast humidity which is so darn miserable. You just melt!!! I remember it from when I lived out there for many years. Many days when it is 105 here, it is fine, because it is dry, It’s all what bothers you the most. If you are a golfer, you go out early…they play here all year long! I’m a walker and either go out early in the morning, or in the evenings. I love that we have the most incredible night sky! Just letting you all know out in the East coast…. Roger, you are wise to factor in prevailing wind direction as well when considering relocating to a warmer, more humid climate. Daytona/Ormond Beach is near the northern range of the part of Florida that benefits from 11 consecutive months of onshore flow from the southeast (December brings cold fronts from the northwest). Orlando is actually far enough east to derive some benefit from this prevailing wind direction at times. You would need to study wind roses for each location to determine how much. Just curious. Found an article that lists the states where people are the happiest and healthiest. Colorado was second only to Hawaii. Any thoughts on Colorado Springs, Denver, Boulder, etc.? Linda, Boulder, CO is a pretty little college town. It is also expensive for most of us retirees to live there. Colorado Springs – on the other hand – is reasonable – lot of military discounts. Denver is nice – but again expensive to rent or buy a home. I live in Castle Rock – and expect the rental property to go up due to a new hospital opening up in a few weeks. Colorado has such beautiful scenry and you don’t have to travel far. If you like to hike there is endless trails to go on. Of course there is skiing – snowshoeing, etc. here as well. The weather – to my surprise – does get hot. We’ve been close to 100 degrees several days in a row – and we are closer to the sun then most cities. I’m moved here a few years ago and am looking towards Phoenix due to less expensive rentals. But right now I live in a lovely townhome – and have a full time job. I would like to thank the people who have recommended several places to me. I will check them out. Thanks again! I too would like to thank people for some of their observations and comments. Perhaps others also have the difference between spouses as to how they handle the weather. My dear wife loves temperatures in the mid to high 80’s and doesn’t mind humidity as long as it is not oppressive. Me, I like playing golf in the 60’s and can tolerate the 70’s but hate 80 degrees plus and humid. Maybe I should buy her a Florida home and stay right here in beautiful Connecticut. I love everything about CT with its history, shoreline, valleys, and 66% forests. The problem here is that unless you have a solid $250K a year retirement income, it is much too expense and taxes are very high. Oh, well, rather than being over the hill perhaps under the hill would be better. Thanks for feedback regarding Colorado. We came to Austin to be near kids, but after 10 months just do not like all the rapid growth and really, really dislike tie constant HOT temps. Thank goodness we rented an apartment and our things are still in storage. Now trying to find a place out of Texas where our adult children would enjoy visiting. Frustrated we are not settled but glad we did not rush in and buy. Ages 63 and 65…..retired military. Loved NY but too expensive. A tale of heat in Phoenix. I worked with an RN whose husband retired here from New Jersey. Year 1: I can’t believe my husband wants to live here, it’s so hot I can’t even breath when I go outside. Year 2: I can’t believe it’s too hot to go out in the afternoon. Year 3: Our daughter graduated this summer in August. I can’t believe the school held the graduation ceremony at night. We were all COLD sitting in the bleachers. I should have broughta wrap. Year 4: We had to go back to New York as my brother was very ill. It was July and we were both freezing! My sister kept the air on even though it was so cold. They laughed because we had to wear sweaters and long sleeves because we were so cold! Moral: when you move to a very different climate you have to hive yourself time to acclimate and it doesn’t happen in just one year. Vicki, you are right on re “you have to give yourself time to acclimate”! NC to IL, IL to NC, NC to FL, FL to CA and now in the process of relocating to NC from CA and I’m going to have to remind myself of that often. I first thought northern CA was far too cold when I first relocated over a decade ago but now find it mostly comfortable when I’m dressed appropriately. But it has taken me years to be able to say that! Really, one of the most unfortunate things I hear (or read) is people ranting over the heat and humidity of one place or the cold and damp (or dry) of another. My experience has taught me that every climate has its benefits and costs, strong points and weaknesses. But, if one will allow themselves time to adjust, a much wider range of climates and locations can move beyond being barely liveable to being very enjoyable. Thanks for sharing your story and best to you in your chosen climate! @Ginger and Larry re: Ithaca, NY: Yes, this is a megaliberal town. We moved here 19 yrs ago from Ohio, am a Cornell grad so knew the area somewhat, great spot to vacation, hike, etc. I thought I was a liberal. Once I got here realized I had no clue what that really meant when taken to the extreme–and lots of extreme here. That aside,LOTS of great restaurants, but big city prices. Gorgeous gorges and hiking, but inaccessible much of the year due to long winters. Gray gray gray for much of the year due to Great lakes’ cloud cover. Two more months of winter compared to NW Ohio (which is NOT the garden spot of the country!). And the cost of living is very high. Not as bad as downstate, but it’s up there. On a $200,000 house in Tompkins County (where Ithaca, Cornell, etc is), expect to pay more than $5,000/year in property and school taxes (more if you actually live in the City of Ithaca). I would like us to move our of New York State at some point, to make our money go farther, but my husband doesn’t want to leave our house until he’s dragged out feet first. So, lots of positives about living here, but you pay for it. About Ithaca. My husband is a Cornell alum. A couple of years ago we went to the summer programs there. It’s a great place to be in August! However, the person who facilitated my course is a local. She told us that her husband had a relatively minor cardiac incident and needed to be airlifted to Syracuse for care. She was relieved that it occurred in summer, because in winter the roads are bad and helicopters often grounded. The healthcare ratings for Ithaca do not seem to take this into account. I wonder if the people who compile the ratings realize that the Cornell medical school is in the New York metro area. Also, the area around Ithaca is very economically depressed, perhaps one of the poorest in upstate New York. I am looking for information on Vitalia at Tradition in Port St Lucie, FL. Is there anyone currently living there or knows someone living there that could give me more information? I am a single 65 year old lady and don’t want to wind up somewhere where the activities are mostly geared towards couples. Seriously thought Ft. Collins/Loveland or Colorado Springs was where we were going to end up retiring. Went out for exploratory visit in each locale. Found Colorado Springs to be too large and a bit of a concrete jungle. Housing more expensive for various reasons than in other locations. Didn’t quite feel the vibe of CSCO. Ft. Collins is lovely and people seemed more friendly, welcoming. However, there is a tremendous amount of fracking (oil drilling) going on all over the area. The water table is already impacted in northern Denver and will likely be negatively impacted in Ft. Collins next. The fracking wells are noisy and can be smelly. Be aware. Check out websites re: frackaccidents. We are opting for St. George, UT. I have a home in Vitalia at Traditions in Port St. Lucie, FL, presently I am a snowbird, but my sister lives there year round. She has quite a few single friends and there are activities for all to join. The new 7 Million 24,000 sf clubhouse is under construction and even more activities will be offered. Within the past several months 75 homes have been sold. We love the location of the community and enjoy the lifestyle. Actually my sister has her beautiful home up for sale and is staying in the community with a purchase. You can email me at bmckernan@comcast.net for more information. I would be happy to inform you on all that I know about the area and community. I also thought Ft Collins was my retirement destination. However, after living through 2 winters I decided I wanted a warmer climate. Ft Collins is beautiful and the water quality, according to Sperlings is among, if not, the best in the nation. It would not be wise to assume the existence of fracking in Colotado means the water in Ft Collins will be negatively impacted. Besides, you can install in-home water treatment systems at a modest cost. You can not, however, do much about poor air quality. That is why I avoided St George. But, to each his own. I am discovering in my 8 years retired that there is no perfect place. Compromises are necessary. Carol, I have no idea if this is still a concern, but St. George, Utah was one of the places negatively impacted by the atomic bomb testing that occurred in White Sands area. St. George is in the perfect spot for ‘drift’ from the desert. At one point there was a cancer ‘cluster’ there that was suspected to be caused by radiation drift. You might want to research. Paula: the idea that Ithaca is ‘mega-liberal’ could almost make me want to go there, but since I currently live in upstate NY and hate the winter, and I am sure Ithaca is more severe as it has lake effect, I won’t be going there. I am pretty well set on the idea of Tucson. I’ve said it once before and I say it again. Western Colorado as in Grand Junction and Fruita. It can be a little hot in summer but I will stack Western Colorado against any place I’ve read about on this blog for the last three years. Would you mind sharing the cost of hurricane ins. and property taxes in Traditions? We want to go South, but haven’t settled on the location yet. The Howard Hughes motion picture, The Conqueror, was being filmed in the area of St. George at the time of the detonation. The fallout is often blamed for the unusually high percentage of cancer deaths among the cast and crew. St. George received the brunt of the fallout of above-ground nuclear testing in the Yucca Flats/Nevada Test Site northwest of Las Vegas. Winds routinely carried the fallout of these tests directly through St. George and southern Utah. Marked increases in cancers such as leukemia, lymphoma, thyroid cancer, breast cancer, melanoma, bone cancer, brain tumors, and gastrointestinal tract cancers were reported from the mid-1950s through 1980. A 1962 United States Atomic Energy Commission report found that “children living in St. George, Utah may have received doses to the thyroid of radioiodine as high as 120 to 440 rads” (1.2 to 4.4 Gy). 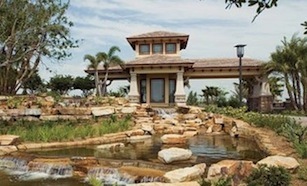 The property taxes in Vitalia at Traditions in Port St. Lucie, FL are approx. $3000 which includes valorem and non-advolorem taxes. Because of the block construction, barrel roofs and high impact windows the cost of insurance is about $1400. per year. The total taxes also include the taxes for Tradition which services the common areas in this planned community, with landscaping, roads and lighting to name a few. With shopping, dining and all services only 2 miles away and also the new hospital quite a bit of money is saved on gas and miles on your auto. The convenience of I-95 is also great for travel with it’s close proximity. I enjoy all these conveniences and the beauty of Traditions. RE: Ithaca, NY and snow–actually, Ithaca does not get the lake effect snow that nearby Cortland does (about 18 miles NE). We get snow, obviously, but the lake effect happens only if the winds are in a very particular direction, so this is not actually considered the lake effect snow belt. RE: Ithaca, NY and medical care–the Cayuga Medical Center (local hospital) has improved greatly in the last 20 years, and has been lauded for certain services (several sources, don’t have them all at my fingertips). We’ve unfortunately had to make use of surgery 3-4 times here locally, and we were pleased at the service and outcomes. However, it’s true that if you want/need a wide selection of specialists, you’ll have to travel to Syracuse (60mi north) or to Sayre (an hour south, in PA), and also for more advanced cancer and heart treatments. Still, for a small town, the care is quite good. That would NOT be a factor in any decision to move from here. But if you are already diagnosed with major heart issues, probably not the place for you. @ Gregg. Love the western slope of Colorado. Have to agree with you as well. My husband is just a few months away from retiring. We are looking at Grass Valley or Auburn, CA. does anyone have info on cost of living? We are going to rent which I’m finding rentals are high but wanted to know about other expenses in that area. Our other choice is Austin, Tx area which is closer to children. Tx is hot but tolerable! Grass Valley, Ca should be seasonal weather and I’m told beautiful summer weather? It’s difficult to choose a place when your income is limited and weather is a factor. Does anyone have an opinion on the Houston area? Spent 35 years in Northern California. The climate and weather are wonderful. Summer in Grass Valley is beautiful…warm, sunny, not humid. Also expensive. Austin is much cheaper but the weather is really unpleasant. Super hot. Oppressive humidity. Not really tolerable to me. Any N. CA community within commute distance of Sacramento or the Bay Area comes at a rental cost premium. And there’s also the issue of high state, sales and gasoline taxes, but it is California and you get what you pay for! The biggest difference between Grass Valley and Auburn is the political climate. You may want to add Nevada City and Placerville to your consideration list. Same temperate climate. Of the four cities, Auburn gets the hottest in the Summer and Placerville the coldest in the Winter. All are incredibly beautiful in the Spring and Fall. Just my opinions formed over 63 years in the area. Best of luck! I am looking for a 55+ community within an hour’s to 90 minute drive of the Raleigh / Durham area. ( up to 100 miles away) We have a daughter (and grandchildren) in Durham and another daughter in Cary. Many I’ve seen are out of my budget. I am looking for something in the 180 – 200K range. Friendly people, etc. open to all suggestions. We currently live in Delaware but want to get away from snow and of course be closer to our kids. 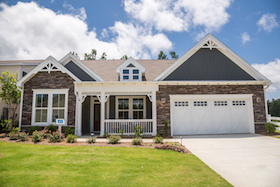 Did you check out Carolina Arbors by Del Webb? Although it shows prices starting at $200,000, perhaps you could negotiate a re-sale or new home within your desired pricing. Mary K, Carolina Arbors is still building so it might be difficult to find a resale. But always worth exploring a spec house with the builder. You might also try Carolina Preserve in Cary (also DelWebb) which is built out and usually has resales. I have not been to either. If you are willing to go a bit further Fearington Village (not gated, all ages) in Chapel Hill area but a popular retirement area. I used to live just north of Fearington Village and it is a pretty area, but it does not sound like what you are looking for. But if you make a visit to the area it is another to explore. Please give feedback to the list when you visit since it is an area that I am interested in. There are other options, but not so much in the “affordable” range. Oops, Fearington Village is just south of Chapel Hill (Pittsboro) NC. Phoenix is NOT a good place to retire. It has the second worst air quality in the country (behind LA). In Summer, everyone who can escapes the 115+ degree heat, so neighborhoods empty out. Residents are unfriendly, with walls around their houses. Medical care is good. I lived in Phoenix for 10 years and my daughter lives there now. I have lived in AZ for years and while I agree that Phoenix is not the best place to retire, it is NOT the second worst air quality in the country behind LA. I have lived in LA most of my life. The residents are friendly, they just get tired of the influx of college students, snowbirds and illegal immigrants every year – the population practically doubles in size every winter, but so does the crime rate, noise and distracted drivers. Not sure what you mean, Lisa, by walls around the houses. Perhaps its the neighborhood you are living in. We moved to Fort Collins, Co. a year ago and have not regretted it for a minute. Climate is dry, so even warm days are not oppressive. Those who love changing seasons will also be happy. It is safe, has a vibrant Old Town and offers all the sports one could want. Fracking was outlawed by a vote last November, at least for now, and there is very little land that could be subject to this procedure, anyway. Don’t know why anyone would prefer a desert climate to our Rocky Mountains! Does anyone have knowledge or opinion about Providence Point Community in Issaquah, WA? As was questioned earlier in this blog, does anyone have information about Virginia as a retirement state? Especially the cost-of-living, taxation situation. I am especially interested in the South West/ Blue Ridge areas. Many thanks! Thanks, Ed. We have done our internet research and our “due diligence,” but are looking for comments/reviews from someone who has personal knowledge. We are not retiring until March 2015 and have a trip planned in October to personally check out the immediate area/facility. Thanks again! Totally enjoy this site and the plethora of information available that is so very helpful to those of us facing one of the biggest decisions in our lives. I live in the UP of Michigan, and I HAVE TO escape these cold winters & the 300+ inches of snow. I will have very limited resources when I retire in 2-4 years and won’t be able to buy a home, so I would like to find a safe senior apt to rent. I have heard there are senior communities (in WI – not for me) that have individual homes & senior apartments, all within the community, but I don’t know how to find the information. I have been looking at the Greenville SC area, although that may be too humid for me. I’m also considering the States of DE & NM. Does anyone know of an active senior community with housing as I described? Just back from second trip to Delaware beach area. A lot of building in progress. Am somewhat concerned about the apparent poverty of locals and run down condition of older housing. Disappointed. May have to look elsewhere. But like the proximity to New York, low taxes and somewhat milder temps, biking opportunities and of course access to beaches. Any input is appreciated. Hello Everyone. Has anyone lived or is presently living in Nevada … I am considering Nevada for my Retirement. I have visited quite a few of the Retirement communities and I like what is available. Any comments? To Vel – 75 – I am interested in Nevada also – can you share the retirement communities you liked & where they are. I am interested in Renting an apartment in a 55+ retirement community, close to shopping areas. Any suggestions would be appreciated. I live in Carson City NV and hoping to leave in the next year, I Have not looked into any 55 plus, however I may be able to answer other questions you may have. Looking for a place in western NC/SC where the humidity/dew point is not oppressive. We live in Vermont and we get some humid days up here, though fortunately not so much this summer. I no longer appreciate the cold, snowy winter but have always disliked the hot, humid days of summer. We do get humid up here! Vermont is an expensive state to live in and we are looking for an eastern state where our retirement dollars will go farther. Delaware is a possibility, too. Not interested in Florida. Not someplace overly far from NJ where our grandkids are. Moving from a liberal state to a conservative state has me worried. Can’t believe how much one has to take into consideration with this retirement/relocation business. Suggestions? Ella, I live in Virginia, but not in the areas that you are interested in. As far as taxes, the Kiplinger site is usually good…http://www.kiplinger.com/tool/retirement/T055-S001-state-by-state-guide-to-taxes-on-retirees/ Virginia is not great, but better than the NE on taxes. Does anyone have a comment about Athens Ga and where in the Athens area is the best living for affordability, safety (we are joggers and love to bike), and easy access to the amazing downtown and university. CB-78 & Patt-77 & Vel-75: Thank you for your responses. I am interested in the Reno/Sparks NV area to rent an apartment in an active senior, safe area, complex-NOT income restricted. Most apartments are all age complexes! Why are you (CB) moving from Carson City, NV? I did look in Carson City back in 2011. I was also considering Las Vegas, NV in a Senior Community there – any advise/complex information on the Las Vegas area or the Reno/Sparks areas? I live in FL right now and want to move in early 2015 back out West. Any information would be appreciated. Heading to Florida next month to explore possible places to live, including some active adult communities. I’m wondering whether it is best to work with a local real estate agent or directly with the sales force at the active adult community? I’m concerned that sales reps at the active adult community would not be interested in showing any resale homes there. I would appreciate any advice from those who have gone through this experience. The “perfect” retirement spot is definitely an “eye of the beholder” concept. My husband and I visited Athens, Ga last month and thought the downtown was run down and dingy. Others view it as amazing, so it is very important to see for yourself and plan an extended stay before making any decisions about moving. Folks looking to relocate from the northeast, especially, should be ready for an attitude adjustment, wherever you go. The new place will not be just like the old place with better weather and lower taxes. Tom, we visited several 55+ communities and never had any problems with the sales staff holding back on pre owned homes. You just have to tell them up front what you are interested in age and size of home, price range, floor plan etc, and they will accommodate you. It will save you a lot of time. Most are very informed about the pre owned homes, more so than a realtor. I would certainly recommend to go that route, even using the guest house for a few nights to get to know the community. Staying at the guest house comes with no obligation, and you will still have enough time to look at neighboring communities. The only draw back is the lack of internet access. Tom, at On Top of the World in Ocala, for instance, there is a separate division for their resales so there is no conflict. Of course this could only apply to very large communities. My experience is that local realtors may be more objective about a specific community than someone who works selling homes only there. But may not know as many details about the community. Elaine: I’m curious as to why you feel that Virginia is not great. I lived and worked in No VA/DC for over 32 years and loved it but had to move from there after I quit my job because of the cost of living, congestion, etc. It not longer was a fit. I’m single and having a horrible time trying to find “my best place.” I’ve moved a couple more times (all failures) and am presenting living in SW VA – it’s just too much Bible belt for me. That said, I’m curious as to your exactly location – I’m looking to move – AGAIN – and I love the State of Virginia. Your experiences?? I suggest that you work through a real estate sales agent when looking at AA55+ communities. I also recommend that you contact a local real estate agent prior to contacting the AA community. You need an objective 3rd party to advise and help negotiate on your chosen property. Keep in mind that the base prices of these properties are not what most people wind up paying after going through the design studio. I am not saying that all of the standard options are ugly, but most of them are. Don’t sign any contract prior to getting the price of the property with the “upgrades” that you want. Once you get an idea of what you want, then you can negotiate on price. If you sign a contract prior to the design center extravaganza, you have lost all negotiating leverage. I have lived in Houston, Southeast Mississippi, and New Orleans. All are awfully hot and humid from June to September. If you have respiratory problems forget these areas, unless you can escape for the summer months. Winters are delightful. ( I recommend Santa Fe, NM for climate year round and charm. It is also very pet friendly) New Orleans is one of the most culturally rich cities and there is always something to do. However there is a lot of violent crime and drinking, which is why I left. Houston is very congested, but there is a lot to do there. Cost of living is very high as are the burglaries and car thefts. The property taxes are high, no state income tax. The cities surrounding Houston are nice (Conroe, Kingwood, and the Woodlands). If you don’t want to drive a car, New orleans may be right for you. The transit system is good and the French Quarter is pedestrian friendly. The natives are very friendly. Well, those are all the facts I know from personal experience. Thank you all for sharing yours. KL, The post that I responded to was about VA taxes. I meant not great as far as taxes…and much better than NE as far as taxes go. The the “poster” wanted info on the SW section of VA and as I mentioned I do not know much about that area. I have been here 6 years. No next to nothing about the rest of Virginia. I moved to VA for a job and have posted about the Fredericksburg area a few times. I think if you look in most popular places to retire http://www.topretirements.com/blog/great-towns/most-popular-places-to-retire-for-2014.html/ and to a find on fredericksburg you will see a few posts on Fredericksburg. Since you mentioned bible belt, you will find that is not as big an issue in Fredericksburg as the more rural sections of Virginia. However, a friend of mine whose family is ex-miltary said that one of the first neighbors she met asked her what church she went to. If you are looking for active adult there are plenty. Sandie – thanks for your input. I am originally from the NE (Mass.) and then 18 years in the Seattle area (retired Submarine Service Vet). I know the South is different but I hope that around a major university campus should be better. My wife and I spent 2 days in Athens and loved the variety of restaurants and live music in the downtown area plus the people were so very friendly and not so stuck up as some Northerners can be. We presently live in SW Florida and the “snowbirds” give the people from the NE a bad name. Arrogant – entitled – rude – pushy – demanding – and obnoxious. I guess to each their own but we cannot wait to leave. Elaine – thanks for your reply. I am aware of Kiplinger and their ratings. My problem is that although i am aware of rankings, i don’t know how that translates into $ and cents. For example, would living in Tennessee save me several hundred dollars or several thousand dollars over living in Virginia or North Carolina? The only way i can figure i can get this information is to do the state income taxes of all the states i’m considering (ugh)! When i do, i’ll be a goldmine of information. I also wonder about cost of living for the various states i’m considering. It’s enough to keep me living here in NY (another ugh!) Greetings! KL Sloper – Could you give me some idea of where you are and what it’s like? I’ve been thinking of Galax, Floyd, or Damascus. Do you live in or have you been either of those places? I have no problem being in the Bible Belt. I’m looking for an uncongested place, a town with some charm or culture (that has a few stores of interest when i feel like going to town), beautiful countryside with convenient nearby hiking available (I don’t like that in the mountains of NC I have to get into a car and drive 20 – 30 minutes to hike. Seems like an oxymoron. ), great free music in the summer, and a reasonable cost of living. It would be great if the arts were alive in some form and truly wonderful if a community spirit of some sort existed. But i’d be content with just a few of these. I do want easy access to hiking, however. Thanks so much; i really look forward to your reply. No one ever comes onto this website from SW Virginia! CB-78 & Patt-77 & Vel-75 – Sometimes when you haves lived in the same place most of your life, you need a change. Both myself and my husband have year around allergies Reno is better due to all the buildings and roads, compared to Carson City, we are also tired of the cold (arthritis) again in Carson City when the wind comes over the mountains it is a bitter cold, not wet like the east coast, just dame cold. Also we do all of our traveling to Florida, cruises and Caribbean islands, from the Reno airport to anywhere over to the other side of United States we usually over night before going on, due to missing connecting flights. Also my husband has a hard time breathing due to the high altitude. And yes you can travel over the mountain to go someplace, like I sated in the begging after doing this at least a dozen times a year, minus the winter time it will all wear on you. If you like hiking in the mountains, hanging around home a lot, gambling, not much of a summertime, then you would like this area. Our family’s and grand kids are here, but we are good to move away to live of dream life, not there’s. Those interested in the Villages (FL) resale should know that the Villages agents do not offer all of the properties available. They are not affiliated with MLS. Therefore to view all of the Villages resales you will have to contact an agent who works for the Properties of the Villages as well as an agent who is affiliated with MLS. 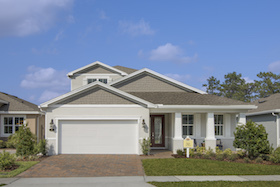 All of the new home sales are handled by the Properties of the Villages. ‘re: Harry’s comments about the Villages. The sales people are very deceptive. They promise the moon and, frankly, you will be disillusioned quickly if you don’t love golf and drinking.. There are several excellent threads on city-data.com. suggest you read before you buy. Do you live in “On Top of the World”? I am interested in the place and would appreciate if you can give me some information about this place. Vel -Thank you for your info-Las Vegas Meadows (mobile homes to rent) seems very nice, I am interested in senior apartment complex to rent. CB-Thank you for your info on Reno/Carson City Area – are there any 55+Senior Apartment Communities in Reno/Sparks area? Ella: I’ll try and address your questions: I live one mile outside of Lynchburg VA (pop 77,000) in Forest VA. I absolutely love this green, lush area and the views of the Blue Ridge Mountains are spectacular! 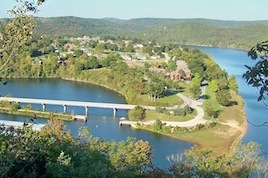 (Smith Mountain Lake is about an hour from here and I sooo want to get there to check it out!) They have public bus transportation and taxis should you need one. Haven’t found it difficult to drive around here – it does get confusing sometimes – the traffic doesn’t bother me (remember I’ve lived in No VA). Have lived here just a little over a year and was blindsided and recouping (5 months) from surgery so haven’t been able to really get out. Hiking opportunities: there is a website called Meetups (Lynchburg) that has a hiking club. Liberty Univ (1 of 5 colleges here) “owns” this town. Most new construction (my observation) is for apts for college students. Reception here has been kind, people give you “face time” but it pretty much ends there. Very difficult area to break into. Other people that have moved here echo the same feelings. Heavy family and church – mainstay of this area. Can’t tell you how many people asked me what church I go to. It has shopping opportunities the likes of Super WalMart, Target, PetsMart, Ross, Kohl’s, Belks, etc.) Cost of living is reasonable. Don’t know too much about the arts but understand that Liberty puts on plays/shows – that you’d need to check out. Except for lacking in the type of housing I want and the fact I can’t seem to break into this area – I’d stay but it’s not in the cards. I don’t live at On Top of the World in Ocala but visited briefly and found out about the resale division. It’s just one of the areas I am looking into on Ocala and North Central Floridlook . It did look pretty as I drove through. KL Soper – Thanks so much for your very generous description of Lynchburg. I’m thinking of going a little further South West, so it was nice to hear of how much you enjoy the countryside. As for the ‘breaking in’ part, I guess that will be a problem wherever we go. One reason for my choosing the area is that the percentage of non-denominational Christians is much higher in SW Virginia than for most of the country; unlike so many others, I won’t have a problem with the church question. I’m so sorry to hear about your accident; hope you’re healing nicely. Thanks again, ella. Ella I think it is because people in SW virginia are hiking or listening to music. Are you familiar with the Crooked Road Music Trail? Any of these places will find friendly and welcoming, regardless of religion. The entire area is beautiful with many parks and places to hike. We are looking at the same area. We visited The Villages at Citrus Hills and plan to make another visit in a couple of weeks. Can you share some of the impressions of the places you visited? It will be very helpful when we make our trip. I’m looking for a waterfront community in North Carolina. Does anyone have any suggestions? Does anyone live at Albermarle Plantation? KL – Thanks for the link; it looks really interesting. Can’t wait to explore it. Interestingly, two of the towns i’m interested in are on it – Floyd and Galax. Debra – I’m actually looking for a town with very accessible hiking. I want to be able to start hiking without driving too far, as in ten years (when we’re old and and gray) perhaps my husband and i won’t want to put too much effort into getting ‘there.’ Perhaps a large park or recreation area beginning within the town limits. Any specific towns come to mind? I am thinking maybe Galax(???). Many thanks for any and all ideas. I’m looking for the same thing – somewhere with easy access to hiking and walking. I would like to know if anyone has thought that as they age, they may not be able to hike in mountain areas. I know I certainly have, which is making a decision about where to retire harder. Having a hard time deciding between the beach and the mountains. Each seems to have it’s appeal and drawbacks. I don’t see recreation in southwest Va as too different than WNC. There are many towns in WNC closer than 30 minutes to hiking. There are also numerous private communities with their own hiking trails. The Appalachian Trail comes right through Hot Springs NC. Hi all – posted a question a few weeks ago regarding Staunton Va. and Winchester Va. Also Shenandoah Valley area. Is this not a retirement consideration for many folks – I ask this as there were no comments. Should I be scared? Thanks. Interesting to hear everyone’s criteria for selecting a best possible retirement community! I am glad to say that we are on the other side of that decision after many years of visits, glossy brochures, and gathering data! The toughest “numbers” to get are specifics on utilities, insurance, and other cost of living figures. If folks could share that on this website that would create a great spreadsheet for comparisons! I also would encourage people to prioritize your criteria – is it the climate? Or taxes? Or political feel? – otherwise it is a mind- boggling amount of facts as well as opinions to sift through! It is a healthy discussion to do this separately from your spouse and then compare – over a nice bottle of wine of course! We found that by prioritizing, we were able to live with double homeowner insurance costs on an island in the low country and a massive drop in property tax – from $8400+ in Maine to about $1200 on a new home in SC, and another massive drop in income taxes. We learned that the TOTAL picture for each of our finalists was quite different once we crunched all the numbers, pluses, and minuses! None of our finalists was absolutely perfect – the snakes and bugs in SC will be a new experience that I am not looking forward to – but it is good to not be close minded about new things, right? Good luck all! RobJ – Hi, i’m also considering Virginia (SW of Staunton). Was considering Staunton, but dropped it due to not enough sunny days. Most people are not considering VA, so it can be a bit difficult to get information. However, KL Soper and Debra have responded to some of my inquiries recently; so you might want to read their posts. Best to you! Thanks so much for your reply. As my husband is now 75, hiking is our favorite pastime, and i’m hoping this will be our last home on this earth – even 20 minutes may be too far to drive just to take a short hike in ten or less years. I want something truly close by. I guess what i’m saying is that i’d like a state park (or something similar) to be really convenient/close by/easy to get to. Hiking, for me, is a priority; and i want it to be a regular part of my weekly activities – not just an outing. Asking too much? Maybe. But this is more important to me than many other priorities. As for Hot Springs, if we select WNC, we’ll probably be in the South Mts., so Hot Springs won’t be all that close. I would love to find a private communities with their own hiking trails. I love the idea of stepping out of my home, and walking. (I do that here in my neighborhood; but, of course that’s not the same.) My problem in finding the right community is that i want some space around me (privacy), and the communities that offer some (small even)acreage are very pricey. Any ideas here would be immensely appreciated! About Virginia.–it is not one homogeneous region. Northern Virginia is very congested, and probably expensive. The “golden crescent,” which runs from NOVA down I95 thence east on I 64 to Virginia Beach, with a little western job between Richmond and Charlottesvile, tends to be more prosperous and very different from the rest of the state. From the comments on this site, it seems that we need to compile lists of things we can live without in addition to must haves. Remember that lower taxes are often the result of fewer services. Just one more thing to consider. I was very interested in post by Sandie Z. I live in NC and plan to retire in SC or GA. Would you mind saying what island you chose? As far as bugs and snakes, I’ve lived in the south and north and I see no difference in bugs. I’ve come across many snakes and they generally slither away from humans. Jill – we settled on purchasing a lot at Dataw Island, near Beaufort, SC. There are many islands in the low country area, specifically this area called the Sea Islands. Worth a visit! SandyZ, your house is finished and you are there? Both of these communities are in Brevard NC, but Hendersonville, Flat Rock, etc have similar communities. I don’t know what your price range is so I’m not sure if any of these will work. Hi Ella – thanks for your response. I checked out the ones you mentioned as well. Currently we live in a small Oceanside community of about 7500 – it is beautiful however cost of living is high, winters are long and cold. We had picked Mt. Pleasant SC a few years ago and actually purchased property – then the recession and no jobs for husband – so here we are. Not looking at that area now even though COL is low. Love being able to hit the road and find lovely small towns and festivals – not available in that area. Maybe unique to New England however this area of VA seems to be similar. Also – if no ocean – the mountain views are lovely. We will be visiting the Winchester, Staunton, Fisherville area in late September – looks nice. COL is not as low as I would expect however lower than here. Have no kids so we are looking for an area where church is important – those folks would become our family. A few years back in our first search we visited Abingdon (sp?) lovely town however it seemed remote to us. Looking forward to any responses and I will be sure to post impressions of the area. Thanks so much. Sandy – thanks for your input re Dataw Island. Had you explored anyplace closer to the west end of the SC/NC near the mountains? We’re looking for someplace with a somewhat moderate climate, i.e. not too hot/humid in the summer months…or is it cooler in your area surrounded by all that water? Debra -no, not in yet. How about you? Jill, we also stayed a few days in Aiken and toured Woodside, a golf community there. We loved the town and the amenities and homes at Woodside but missed the ocean too much. # 1 priority for both my husband and I became close to water after that visit! But if you do not need to be near the coast, def give Aiken a look. There are a number of communities with nice amenities there. I understand from talking to residents that it is hot everywhere in SC in the summer! Yay! SandyZ one more month until the house is finished. I think it will be a bad time to move. The Shrimp Festival will be the first week end we are there. The weather in October is absolutely beautiful. Battery Creek will be calling me to kayak, as will the bike trails. When will I find time to unpack? First thing is to submit fence plans to HOA and get that in so the dogs can go out. BTW Jill Greenville SC in upstate SC is just as hot as Beaufort in the summer. SandyZ- did you find flood insurance hard to get on Dataw? Is the flood insurance costly? Is there local shopping and dining on the island or is it generally on the mainland. Enjoy your new home. Post of 8/23 is not me, Jill, who asked Sandy about island location. Thanks for naming the island. I’ve been to Beaufort twice and heard of Dataw, but thought it was very pricey. I’d be interested in the insurance also. I have lived in Cary, NC for over 30 years. If you want to retire in a college town with tons of things to do and a very active senior community, you can’t beat it here. It is humid in the summer, but it’s the south. Asheville, NC is in the western part of the state and much cooler climate. We used to love it there, but we find it’s either pc hippies or yuppies now and very crowded. I would check out Brevard or Sapphire Valley in NC. Have heard Anderson, SC is very beautiful, but have not been there myself. Anyone check out St. Simon, GA or islands off coast of Charleston, SC. Wow, Debra! Thanks so much for those links; i can’t wait to check them out. It is so thoughtful of you to take the time to try to help me like this. I cannot tell you how much i appreciate your attempt to help me thru this relocation maze. Blessings! We have been to Hendersonville, NC several times for a day or two. Our sons live 50 miles south in the Spartanburg-Greenville, SC area. Typically, Hendersonville is 6-8 degrees cooler because of it’s elevation. We really like the area. It has a great downtown area. Plenty of townhomes and houses in the area. There is so, so much more than drinking and golf happening there as one observer mentioned. In fact, there’s an excellent chance that any interest that you might have are shared by some of the other 100,000 people that live there. In fact, there are more than 2,000 clubs covering everything from knitting to bicycling. In addition, there are tons of free classes given daily at the modern, state of the art recreation centers and continuing education classes given at the Life Long Learning Centers. I don’t know about drinking, but I am willing to bet the majority of people living in the Villages are not avid golf players. As far as the Villages salesmen, My experience has been that they are honest, forthright and amazingly low keyed….no pressure at all. We had put a binder down, and signed a contract on a new house and then changed our mind when a problem came up.. They complied with NYS law, as we currently reside there, and immediately refunded the binder when we informed them….with zero problems or attitude. The Villages are not for everyone, but our experiences convinced us it’s the place for us. Bill ~ have any idea what the political climate is like in the Hendersonville area? I hear that NC is very repressive and getting more so. After living in VT for 30+ years we’re a bit afraid of going back into the dark ages. Is Hendersonville large enough to have a diverse population that would allow for diversity of thought? We’re also worried about developments/communities and the quality of the craftsmanship of their developers. I’ve heard that there are a lot of folks out there that slap them together and leave you holding the bag once you sign the papers. I’ve heard that residents may not be reliable when it comes to telling the truth about the development. I do tend to over think things but don’t necessarily think that’s a bad thing with this big a decision. Any reputable 55+ communities in the area that anyone might know of? Concerning insurance costs on Dataw Island – an inquiry from several posts: Turbeville Insurance Co. 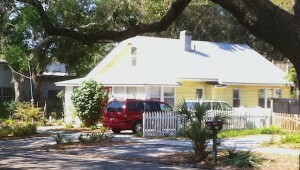 In Beaufort gave us a quote for $300,000 worth of homeowners insurance, including flood, wind and hail at about $2300. Wendy, the very nice salesperson said one of the biggest problems is flash flooding in that area from severe thunderstorms and heavy summer rains. Just for comparison, in Maine we pay $1260 for homeowners insurance – no flood, wind or hail included. So yes, it will be a higher cost in our budget, but many other drastic decreases more than offset that. It is definitely a good idea to make calls for these types of costs before finalizing your selection process – we are not fond of surprises! Can anyone recommend some 55+ manufactured home communities around but not in Orlando? We would like water access. Also, would like a lot rent of no more than $500. I’m going down in October to check it out. Thanks for any recommendations. Once again I am befuddled by the 8/24 post from Jill from Vermont, who is not me, Jill from NC, formerly Saratoga Springs, NY and LA. Therefore, I have changed my posting name to Jillc, for point of clarification. Bill, I have been to Hendersonville and I agree it’s a fun little town. To the other Jill, NC has indeed had a blow to its liberal climate by our current governor, whom ALL wish to see gone, dems and reps alike. Hope springs eternal. However, it is far from the “dark ages” and as I said, if you’re looking for diversity of thought, you can’t do better than the Raleigh area with its three large universities as well as several smaller colleges. The Durham Performing Arts Center has just been named 3rd best in the country and Raleigh is #9 on the list of Best Art Districts in the US. As to shoddy building and untruthful residents, I agree you are overthinking it. NC has building inspectors and strict building standards and residents her are just as truthful or libelous as any other state. For anyone who thinks this is still the old Bible Belt, think again. As NC has taken over from FL as the #1 Southern retirement state, you’d be hard pressed not to find variety. I was in Burlington, VT two years ago and stumbled upon the Drag Race, as in men dressed in drag. You probably wouldn’t see that here. Sandy, thank you for the ins. quote. You did very well. My Dad lived in Wilmington, NC, 5 miles inland, and his insurance was a bit higher than the quote you got. Jill’s, you might speak for Dems but certainly not for most Reps. We do NOT want our current governor gone. I am sure he is a blow to the “liberal climate” but NC is not a liberal state and never will be. There are some areas which have a liberal leaning but the majority of the state is conservative. Don’t come down from the North thinking you are going to find that NC is just like the place you moved from or will change to be like it because that just isn’t going to happen. I meant JILLC, not Jill’s, darn autocorrect. Just wanted to thank Fred for the positive comments on The Villages! I moved their five years ago but am now a “snowflake” (6 month resident). My reason for not staying a full time resident is family connection since I am a widow and my children and grands live in the north. The community is fun and exciting without being an avid golfer…I can play but definitely not well. I have met good and not so good people there which I expected – anyone thinking anywhere they relocate will be utopia is dreaming but The Villages is mostly good people who want to enjoy the rest of their lives…. I found it quite insulting that being a conservative meant being back in the dark ages according to Jill. I don’t have any qualms about a republican gov. Sorry if I misconstrued. I have problems with our current governor. Since I’ve lived in NC for 33 years, I think I’m pretty familiar with the area, but you’re right that it’s no Vermont. the horrible things said about Southerners are beginning to really bother me. I find it interesting that most people from the North are trying to move to the South. You must notice that there aren’t many people moving from South to North. finishing college I was really surprised at the loud misconceived ideas about what we thought and what we believed. I just closed down. To me that was what I called prejudice. It was a broad brush statement and it was so hurtful to me. Stereotypes to me represent a closed mind. You have to get past the accent and talk, or better still communicate. are reading this would give me a chance you would find me with the same feelings you have. read this and I hope he/she is touched. Very true Claire. You just have to tune them out. Clare and Ella: So glad to see your comments. I was very upset when I read Jill’s comments about being in the dark ages if you’re not liberal. I have found southerners to be extremely friendly, welcoming, and outgoing, which many notherners are not. Much of what we take from a region is really what we’re willing to put out – a smile, a hello, a welcoming handshake all go a long way towards making friends. I don’t understand why people are offended at an invitation to visit a church when you move to a new place, it’s a way to include you in the community. Asking what church you attend is not a way to judge, but a way to find common ground. Also, it seems like the northerners do not realize that they tawk funny too. The posts from Claire and Ella are why I felt the need to change my screen name to JillC. I hope people read my post about Raleigh and feel the love I have for this area. If it weren’t for my husband wanting to live near the ocean, I don’t think you could find a better place to live, raise a family or retire, as evidenced by our exploding population. I was born and raised in NYC, Brooklyn in fact (talk about an accent). I find that people are people no matter where you live. I have never had a problem making friends wherever I go by accepting people for who and what they are. I try not to judge others (hopefully they’ll do the same to me). I think basically we are all just trying to survive the best way we can, gathering love and laughter along the way. What more can one ask of the universe? Editor’s comment. This has been an interesting discussion and many have weighed with helpful, not hurtful comments. Thanks for that. But now that we have plowed this ground, lets get back on topic about affordable places. Agree completely about regional accents, they are part of who we are and are part of the joy of people. Taking a cue from our esteemed Editor, i will ask all bloggers if any of you have hard data on the difference in cost of living between No. Carolina, Tennesse, Georgia, and Virginia. I am aware of external data like what states taxes what, but am having a hard time relating that to $ and cents. Also not aware (yet) of differences in Supplementary Medicare premiums in each state. In NY policies is very expensive. Additionally, everyday expenses – heating, cooling, cable, gas, food, etc. If anyone has moved from one of these states to another, would you give me a heads-up, please, based on your actual experience. Is anyone familiar with this state? It is very affordable (no state taxes, low property taxes) and does not get a lot of rain. Ella, I don’t mind giving you a quick break down of our expenses here in W TN. ~ $ 3.15 gasoline at the moment. Home prices are very low, and you can find a variety or new and pre owned homes in various locations of interest. We do pay sales tax, and its something to consider, and it can add up quickly. We have been living here for nearly 2 years. As for being accepted, that depends on how far you are willing to extend a hand. Smile, and the world smiles with you, allowing for the occasional set backs, of course. We have been invited to church but not been pushed or rejected for declining or accepting an invitation. In this area, you will find many vacationers and those who have relocated after retirement, so you find yourself surrounded by locals as well as newbies. This all makes for a rather diverse community, if you will. During our time here, we have observed, i.e., our grocery stores more and more catering to demand, offering more ethnic foods etc. I hope this helps in giving you a better idea, something concrete to go on. Are you saying $345 a month for property tax, $150 a month electric and $35 a month water/utilities? Is the $900 for vehicle insurance per year? If so, your taxes are $4,140 a year and that seems very high for W. TN. My cousin lives in Kingsport, TN and her house is much bigger than 1,300 sqft and she pays way less taxes. I was floored when she told me how little she pays which I cannot remember off hand. I have an average size raised ranch in CT 3 bedrm, 2 1/2 bath, family room downstairs and my taxes are $4,504 per year! It’s outrageous. I am on a budget plan for electricity and it is now $196.00 a month. I am on a budge plan for oil that heats my home and that is $265.00 a month. We don’t have gas or propane. Garbage runs around $33 a month. We have U-Verse for tv, phone and internet and it runs over $100 a month. I would like to suggest that if you are insured by any other company other than AARP check out AARP. I spoke with my Allstate guy when a new bill came in about 5 years ago and asked him if there was anything that could lower my premiums. He said he would check and then called back and said no, there was nothing that could be done. I was furious. I then checked AARP and when it was all said and done I saved over $800 a year on house and car insurance plus got an umbrella policy too which I had with Allstate. I actually have more coverage than I had with Allstate. Just be prepared to spend a lot of time on the phone and you will have to provide a lot of information to AARP. They will ask for what you have on your current policy, VIN numbers on cars, lots of stuff. On the house you will need to know the appraised value, how far away you are from a fire hydrant and fire station and other stuff. It was a lengthy process but so worth it to save money and get more coverage. I felt victorious to dump Allstate considering we were customers for probably more than 20 years and I don’t think we ever had an accident or used the home insurance either. Allstate has some program now that if you are accident free they send you back some money. That never happened when we were with them. It is very expensive in CT and more and more people are leaving. I see For Sale signs everywhere. I looked up the cost of educating a student in my town and it is $17,046 per year. In Kingsport, TN it is $9,071 per year. Is the education of children in TN so deficient because of the $8,000 per year difference? The Superintendent of Schools in our town makes $200,00 a year. Is that typical in TN, SC or GA? Do not come to live in CT unless you have buckets of money! Sorry, insurance and property taxes are per year. You know, it’s interesting that the editor publishes these lists, then people jump on here and talk about other places. Have any of the ten listed places been under discussion? What this says to me is that people don’t really come here with an open mind. They come with an agenda, and try build support for that agenda. Western NC is popular now; lots of people interested in that. I’m rethinking a bit. I bought in Tucson and like it, but I don’t have any close friends or family here. And as it happens, ever since I have moved here I have been ill, one illness after another. That has scared me a bit, so I’m starting to revisit some old ideas. But I just am curious about why people post on a thread that isn’t what they want. Has anyone lived in the Clearwater or Port Charlotte areas of Florida? Can you comment on the lifestyle and the friendliness of the cities and the residents? ALL of these places are wrought with humidity…and bugs. Sure, they may be less expensive and have an interesting array of activities to offer, but if you don’t want to leave the house most of the time during the hotter months it somewhat defeats the reason for living there. You can be a house-bound hermit in a lot of inexpensive place that most folks wouldn’t want to live. My husband and I are native Californians and are anxious to get out while the gettin’ is good. Taxes, fees, open door policy to illegals. We are looking for a lower cost of living (most anywhere is a 30% drop in cost of living). Our next exploration will be Prescott Arizona (shhhh don’t tell anyone). Four mild seasons, quaint western downtown, farmer’s market, arts and crafts galore and my biggest requirement is Trader Joe’s. Also, has a Costco, Whole Foods and Sprouts for healthy foods. It sits at 5400 feet elevation so doesn’t get as hot as Phoenix and not as much snow as Flagstaff. I’m excited to explore the area and see what my gut feels. For those considering Oregon, there are some beautiful areas however, it is not a tax friendly state for retirees. My Mother lives in Coos Bay and it seems always to be windy and receives an average of 65 inches of rain per year. I’m not a big fan of these lists, but as long as Greenville, NC, is on it, I feel qualified to write about it, since I spent three days in that area two weeks ago. First the positives, of which there seem to be some important ones. For those who need or want to be near qualified healthcare, the Vidant medical complex, affiliated with the East Carolina University medical school, is huge and covers most specialties. The locals rave about the Cardiology Center which apparently has attracted some renowned heart specialists. Vidant will open a new Cancer Center soon. The entire medical center is way bigger than one would ever expect in a smallish city like Greenville. Second positive is the university, which is growing and has established itself in intercollegiate athletics. I haven’t investigated but, like most major universities, I am sure it has programs for continuous learning. Third positive is real estate prices. I investigated the communities adjacent to three golf courses — Brook Valley, Ironwood and Cypress Landing, about 30 minutes away on the Pamlico River in Chocowinity. I went through a few homes for sale in the latter community, and I would say one gets a whole lot of house for just a bit over $100 a square foot (land included). Cost of living in the area is about 15% below the national average. On the negative side, I was unimpressed with the condition of the city, which is in some need of rehabbing. A core old and currently unused industrial area could certainly be repurposed, as has been done in other cities. It was also something of a chore to find more than a couple non-chain (local) restaurants for dinner. I understand the city is something of an arts/culture wasteland; however, the folks at Cypress Landing rave about the arts and crafts nature of Washington, NC, just a few miles from their community. Unemployment in Greenville is lower than the national average, so there must be something attracting all those doctors and other professional people. I have a few more observations about Greenville and reviews of the golf communities at my website, GolfCommunityReviews.com. Hey Larry, You were not looking in the right places in Pittsburgh. People are very friendly there! I have a friend living in Prescott and working at one of the colleges there, and he loves it. It has two colleges, a reservation and casino, the stores you spoke of (Trader Joes & Costco are important to me too), historical area, an annual rodeo on the national circuit, lots of monied folks moving there from California, and great alternative downtown area with shops, restaurants, art galleries, etc. I enjoy visiting. It’s far from an international airport, which is a drawback for me, but nothing is perfect. The drive g to and from I-10 is congested, but if one doesn’t go that way often, it would not be a problem. Housing is pricey, for me, but one may still purchase acreage there at AZ prices. It’s on my short list of where I want to live for a Plan B. Let me know how your hunt goes there. To Joe Braun, Yes i agree with you Joe . My wife a i were looking in Lewis De we live in NJ. Reasons same as yours close to home base weather not so much a difference maybe 5*. Every community we visited was beautiful but drive out and rundown very depressing! I did not like the area and i tried to but couldn’t. Even The Peninsula on the Indian River was a gorgeous community BUT driving in or out old farm homes falling apart not maintained. We are now looking in Bluffton SC so much cleaner and pristine. Warm long summers,short mild winters and shopping for my wife . The fun part is looking and learning love the discovery packages LOL. I never ever see a thing on mTeaxs anyone ???? Moving from Pa to Florida, looking for advice on movers. Judy: We also retired to Delaware…been enjoying the area for over 8 years. We love it, and it is not rundown at all. Beautiful beach towns up and down the DE southern coast. Gorgeous beaches , the best restaurants anywhere and lots of great golf courses.. We have friends that live in Bluffton SC and it is a traffic nightmare if you want to leave your development, takes almost an hour to get to the beaches in Hilton Head. Cannot even get to a grocery store without sitting at traffic lights. Humidity is unbearable they said in the summers. I’ll take the slower pace in DE any day. We are beach people and like the quick trips to the ocean whenever we want. We also like the change of seasons with DE mild winters. So to each his own I guess…hope you find your happy place! Judy, I want to make sure your question will be answered. You may have confused me with another member. Sorry. I don’t live in DE now, but our friends lived in Lewes for many years and we visited often. I, too, didn’t understand the rundown comment in a previous post regarding the area. That isn’t an issue in the Lewes-Rehoboth- Bethany etc area as they are all beachy areas. DE is mostly rural outside of the cities and I don’t remember ‘rundown’ there any more than anywhere else. We are considering Sun City Hilton Head vs. FL and guess the balance with the FL-like high humidity summers is that HH has cool winters but hopefully winters in FL are more delightful. DE is pretty humid also and there is traffic in the beach areas but – there is the beach! It is a vacation area after all, as is HH and that is a price to be paid if that is your kind of area of choice. But beaches in DE are much closer than those in HH. There may be traffic but it won’t take you an hour to get to the beach. We don’t want DE winters but hope for nearby beaches and less traffic. There does seem to be that combination but often the tradeoff is shopping is less accessible. Finding the perfect place for retirement is the quest and the hunt is to figure out what you can live with and without. That is why these posts are so helpful. Interesting how peoples’ perceptions of an area are different. I visited Delaware in February and was surprised at the traffic and long wait for a table at restaurants. People were lined up outside before 5pm. I cannot imagine what it must be like in the summer! I wasn’t real thrilled about the supermarkets and found shopping to be so-so. There is a shopping outlet which is ok, but other than that I guess one has to drive to northern DE for other options. Spent a lot of time looking both in northern and southern Delaware, but decided on Greenville SC. I agree Greenville SC is lovely and more and more lively with the baseball stadium on the west end making downtown even busier. Sister lived in downtown Greenville but now in Greer. Don’t forget, as a retiree you are free to plan your errands at off-peak hours and once you live in a place you can usually find the route less traveled, enjoy new views and less traffic.. We find traffic almost everyplace we look but talk to residents – they know ways to get around that aren’t readily apparent to visitors. Carol: You are so correct. We have been living here in the resort area for almost 9 years now and we know all the tricks to the trade! LOL…never had a problem and love the busy vibe of the area. We love our visitors! After all, they add to the fun and happiness of living in a beach area. Not too many unhappy people when they are on vacation! I am looking for the safest most affordable options in the Phoenix area. I’d love to be a snow bird but have no where to go during the most brutal months. I am still working age but am over 55 but have no problem with younger people and pets. I’ve heard there are some very neighborly parks in Apache Junction and Mesa. I have no family locally and would really appreciate neighbors who are trustworthy. Thanks for your input. RobJ….did you ever decide anything on the Staunton area? My husband and I were up there a few weeks ago and fell in love with the old downtown. Housing seems to be an issue for us there since we’re looking for a townhouse community close to town. I would love to hear where you’ve ended up and why. Ella…would you like a community near a rail trail? There’s a great trail in Abingdon. I’ve also been on the one near The Greenbrier in WV. I keep check on your discoveries, too, since we have a lot of the same requirements. Debbie – Look not only at the Prescott area slightly north of Phoenix, but Cottonwood. Sedona is beautiful but so full of traffic and people. We want 4 seasons so are looking further north east in Show Low area. Nancy, A rail trial sounds great! I am planning on visiting Abington within the next two weeks. Also Galax. Any suggestions? Ella…Abingdon was my son’s idea for you. He and his wife live near Asheville and are avid hikers. I told him what you were looking for and he immediately thought of Abingdon. He said the trail is highly used by walkers, runners and bikers. Grayson Highlands, Mt Rogers and the AT are in the area, but the rail trail can be picked up in town. My husband and I visited 2 weeks ago. It’s a quaint, historic, small town, cultural with the theater, and has rolling hills and a beautiful countryside. I’ll be anxious to hear how you like it. I don’t know if it’s too remote for medical needs. Thanks so much, Nancy! Abingdon looks lovely; i’ll be visiting soon. The town has a hospital, but no trauma unit. I don’t know if this should be a red flag or not. Did you visit any other SW Virginia towns? I’m thinking about Galax, but i’m not sure as i have many other towns to visit (NC and GA). Any other towns and areas that particularly appealed? Ella…we visited Bristol and Marion. Neither were for us for varying reasons, but we fell in love with Staunton. We especially like the comfort index even though the temps are the same as where we live now. We need to check it out further next summer. I don’t know anything about Galax..,never been there. Maybe a day trip is in our future! We are still considering Hendersonville and Flat Rock. Also Saluda, but don’t care for the temps and humidity. I don’t think i’d like Bristol either as i’m looking for more of a small town. What was it about Marion you didn’t care for? It’s close to Galax and, i think, similar in many ways. Thanks so much! Ella…I, especially, like a town with a variety of local restaurants, independent bookstores, good shops and a cultural feel. A yarn shop puts it right over the top! And then I would like townhomes for a community feel. Marion didn’t have the downtown features we’re looking for. The shops teally just were not there for me. Thanks, Nancy! I, too, am looking for a hometown feel. What else are you checking out when you consider a town? Article Source: http://ezinearticles.com/?Place-to-Retire—Very-Nice—Franklin-Kentucky&id=6394768 A few years ago I found this article. This is my dream retirement. I go there for vacations year round now to learn everything I can from the residents. Kentucky is tax friendly, cost efficient compared to Tennessee. Franklin is close enough to Bowling Green and Nashville for day trips. DeyErmand, I read the article about Franklin, Kentucky, and it certainly sounds like a very nice place, but do you know whether or not Franklin has any 55 plus active adult communities there? Valerie L- No, not to my knowledge. RetireNet.com should answer that question. Ella, your satisfaction with any particular area will be reliant on your previous location, in addition to how you might adjust to the “new”. We are in Wytheville, Va now, after 62 years in NJ. Depending on your current address, both Marion and Galax will undoubtedly be a different world for you. Economically , Politically, and Culturally. All depends on what your expectations are….. I had considered Wytheville, but i think the research showed not enough sunny days and maybe too windy? Not sure now why i ruled it out. I love the outdoors, free music (the jams sound great! ), and have a keen appreciation for art and crafts so many VA towns appeal to me. I’m down-to-earth, not fancy; and think many other Southern values fit mine better than those in the North. That said, i’m just not sure of the winter temps and the snow (usually around 20″ in most places). How do you find the winters compared to NJ? And how do you feel about living in Wytheville, again, compared to NJ? Thanks SO MUCH! Hi Doc, Yes, your answers help a lot. Thank you! Bible belt and politically conservative are appealing (i think). I’m so tired of the liberalism of the NE; however that doesn’t mean i will not have problems with the opposite point of view if it is represented in an unappealing manner. I’d just like people to be respectful of others with differing points of view. Wind and economic problems with residents, not so appealing (although i’m not wealthy, by any means). I appreciate your comment about the wind. It lets me know my research is not for nought! We visted Waynesville last year. Loved the downtown area; it was so pretty. The shopkeepers were friendly, although we did not find the average person any more so than in the NE. Our biggest problem was distance to good hiking and we don’t want to live on a mountain. Looking for rolling hills close by and mountains to enjoy a little further away. Why do you prefer Waynesville to Wythville and what is it with the W’s? (Sorry, just kidding!) Thanks, again! Hello Ella. Not sure what it is with the W’s either, but I have to be careful when speaking about either town so as not to misspeak! Simply put, Waynesville apparently is not as “economically challenged” as many parts of SW Virginia appear to be. As you witnessed, Waynesville seems to be thriving, with nary a closed store. Sundays, while downtown, it is hard to find a parking place. Quite the abundance of very good restaurants, also. Asheville too, is very active(and progressive) and only 28 miles distant. The downside of this popularity is the relative cost of real estate in Waynesville. BIG difference. Property taxes seem to be slightly higher, but not the impediment asking prices of houses are…….Have you looked at Roanoke or Abington? Dear Doc, Thank you (thank you, thank you) for today’s post. I, too, found the houses in Waynesville expensive, which confused me as on the Sperlings Best Places website housing in Waynesville is listed as something like 58% the national norm. You have confirmed my suspicion that this is not accurate and i’m not a cuckoo (well, maybe not the latter!). My husband and i plan to visit Abingdon in the very near future. I’m just not sure what to check out there to determine whether this is a good place for us. Any ideas on this? Once again, thanks again, Doc. I’ll keep you and all posted on our trip! Can anyone help with Charleston SC. I want to take a a 4-5day trip in Nov. to see if this is a place we may fall in love with. Have visited Grenville..really pretty great downtown..but could not find anything else I loved about it. my husband and I are retiring in 14onths…and counting. I can not wait to get off of Long Island. Any tips or tricks would be appreciated. My concerns…We are no Religious!, We Do Not Golf play Tennis. We Love to go site seeing, Love,Love antiquing and most of all Want to and Will Travel A Lot. dear Doc, What a friendly offer; thank you! We drive large distances every day as we’re traveling many miles (1000 each way, round trip). But i’ll see if i can change our last stopping point to Wytheville. Depends on where we’re coming from and how far we have yet to go. It would be great to meet you and talk. How handy that you’re in VA and don’t need to travel nearly as far to explore! Roseann, I too am a resident of L.I. & hear you loud & clear. My husband & I can no longer stand the harsh winters or super high property taxes. We also visited Greenville SC & thought they did a great job on the downtown area but couldn’t find much else that appealed to us. That being said, we just came back from a hectic trip to Florida. We visited several 55+ communities in Delray Beach, Boynton Beach, Coconut Creek (Wynmoor Village,) Sarasota and Clearwater (On Top of the World.). I don’t know if you are interested in Florida at all, but as a fellow New Yorker I can tell you Sarasota has a great downtown (Main Street). Lots of shops and restaurants and a busy lively “feel” to it. Sarasota also has every store we have here including Whole Foods, Trader Joe’s and too many high end beautiful malls & stores to name. It also has the famous Siesta Key Beach which is lovely to say the least. We also liked Delray very much. Again, the downtown has plenty to offer & that busy bustling vibe which is there when you want it. Hope this is helpful. Roseann: I took a trip to look at Charleston in May. I ended up sitting in traffic downtown for over an hour, trying to go 3 blocks. I couldn’t find any parking for blocks and blocks, when trying to get to a restaurant. Definitely check out if there’s a festival or some reason to plan your travel times carefully. I lalso looked in Summerville, at new plans and the Del Web there. I think the traffic soured me on the area, but I took it off my list. Maureen: As we get ready for a possible hurricane and what I hear will be a worse winter than the past two..if possible. I am grateful my Husband and I downsized 2 1/2 yrs ago. Though renting is just as bad! FL. was not on our list. I had always said I’d rather put needles in my eyes than move there. That has changed since I have not fallen in love with either NC or SC. NC still has places we would like to revisit…Carey, Southport,Leland along with a few new towns. Now braes your self…Our Daughter lives in FL “Venice” which happens to be on the top places to retire. Jessica, would give her left eye if we would consider it. Sarasota is quite beautiful. I thought it was a bit pricier than some of the other areas mentioned. I will be taking a few trips this winter to scope out a few areas. I know I do not want to live on the water…Sandy was more than enough for me. I will scope out some of your suggestions. How did you plan out your trip..did you have a Realtor or just a starting/ending point. How long did the trip take. Any help suggestions you may like to share would be more than welcoming. Maybe we could exchange emails. In the mean time be safe this weekend! Regarding Sarasota and surrounding area. We visited Clearwater and Sarasota, up to Tarpon Springs about a year ago. Found Clearwater to be very busy as we were there during spring break. Stayed across the street from the ocean but could not see the water for large condos. Was a bit pricey. Good places to eat! Love the Greek atmosphere in Tarpon Springs, great farmers market and interesting downtown area. Duneidan is a lovely little town. Pricey toward the water but less so as you get away from the shore. Sarasota, we drove down there one day to scope out the area. I do want to live within biking distance of a beach. We went to the Visitors Center and were given the name of a realtor who would talk with us and be happy to drive us around. Told her our needs, which are pretty flexible. We have $200,000 for our next home. We were told that there was nothing available in the areas close to the beach and even if there were it would require $1,000,000 for the smallest place. So we decided to bag it and went to Selby Gardens and back to our lodging at Clearwater. We have friends whose son works in Sarasota and has an apartment there. I asked how he afforded to live there and they said “he can’t”. He’s thinking of moving! One area that we really liked was Gulfport, Fl. It’s near St. Petersburg and very much an artist colony with great seafood and a beautiful beach area. Housing there can range from small bungalows for around $200,000. There are homes in the area that are fixer uppers, we looked at a couple of bungalows that were within our budget and they were delightful 1930’s style, tile kitchens, arched doorways, and both of them had small rental units that we were told rented for about $500 per month. What are the effects/consequences of SW Virginia being “economically challenged” as you experience? We moved to South Pasadena FL in July of 2015 from Northern Nevada and love it, we looked Fort Meyers to New Port Richie and a bit on Atlantic side, we truly lucked out when I leased here, sight unseen did not know the area only what I read and was an area that we could afforded. Gulfport is just a little around the corner and up the road a bit, we live across the bridge from St. Pete Beach, for us it is 100% walkable for your everyday living, even one doc of ours we walk to. (restaurants, beach, bowling, grocery stores, dry cleaning, city pool for aqua fitness classes, fishing, fresh seafood store, so on) we have been gone almost everyday looking at everything that may interest us. Going over the Sun Shine bridge is very easy for traveling to Anna Marie Island, Sarasota, Venice (hot dogs place we like), all the down. Tampa Airport/cruise port & Amtrak is about .30 min. We just put an offer on a condo on the bay within in a great community, to us we have found what we been looking for all our life, waking up every day smiling, happy as a lark, loving life, peaceful, with the most amazing clouds/sky color as night falls, we are truly loving our second half of life after retirement. I visited Charlottesville in September trying to find an Osher Institute town (UVA). It is pricey but has everything I could want. There was so much VDOT road construction on Route 29 and Interstate 64 which runs from Richmond to the western mountains. I had difficulty figuring out how to navigate that town around the construction. North of Charlottesville is very developed, has the upscale shopping that you could ever want. Also, I visited Staunton, loved the American Shakespeare Theater there, most of the stores in the downtown area were closed but the Stonewall Jackson hotel and convention center was booming with a huge convention from a Georgia hospital. I am used to being over the mountains twenty years ago so seeing this much development surprised me. Will be looking at many places in the big state of Virginia. I do have a cousin who moved from Roanoke to southwest Richmond, VA in the area of Midlothian, one of the best places to live. Have not been there yet. University of Richmond is another Osher Institute town too. I love the people in Virginia who are so much more friendly to visitors and they are helpful. Living in Florida has been wonderful. Unfortunately we have to move. Have a beautiful new home in an area a little northwest of Orlando. Community has one of the most beautiful clubhouse I have seen in a 55t community. We have full solar which creates no electric bill. The cost of electric being saved really helps with defraying the HOA charge. It is a “Trilogy ” community in Groveland Florida. Insurance is low here. No flood zone. No hurricane shutters needed either. Anyone want a home?? Roseann: regarding Cary, NC my husband & I thought it was a beautiful, well kept town but decided it was too pricey for us. In particular we visited the DelWebb Sun City community which couldn’t be nicer but it doesn’t come cheap. We also visited Brunswick Forest in Leland which had everything you could want except it is not a 55+ community & that is important to us. So far as our trip to Florida, I started making phone calls and lining up appointments with realtors about 2 weeks before our trip. I was very specific about our desired price range & what we would be willing to pay for an HOA fee. The realtors were very accommodating. They took us around as promised and stayed within our budget. They were not pushy & I felt they were knowledgeable. I think we were lucky. By the way we also visited Gulfport which has a particular shabby chic laid back vibe. I thought it was a nice place to spend a day but I wouldn’t want to live there only because it’s a little too laid back for my taste. On a different note, Sarasota has a great little restaurant called Yoders Amish Restaurant & Village. The food is down to earth delicious and the home made pies & cakes are beyond wonderful. I have no connection to this place I just thought it was a terrific little place we found by accident & I highly recommend it. Venice looks so special & beautiful on the computer & I want to explore it the next time we go to Florida for yet another look. OMG, will our search ever end? For those of us trying to stay within a particular budget I think it perhaps takes a little longer. Maureen, you are just so sweet. Thanks for the updates. I’d like to exchange personal info with you. so.o.o.o. here is my e-mail roseann@tre-femmes.com (hope to hear from you. As for Cary, yes we know it can be pricey..none the less beautiful. My fear is everyone there is from here…LI. Brunswick Forest is one of the fastest growing county’s in NC. 55+ community…not on my wish list. I just feel you end up paying for things you will never use…Golf, Tennis. Though, I will not rule it out just yet. Trips,Trips & more Trips. we have done the same. I trouble if you will is, we do not want to buy right off the bat. I want to find my dream place to live (LOL) and rent for the first 6-12 months. I’m a believer in no major decisions for the first 90days. Gulport…. will look into that. shabby chic is my style probably why I loved Southport NC so much. Know Yoders..my daughter and her friends love it. Venice is special however there is really nothing there. our daughter lives in the Lakes of Jack-Andra. She works at Venice High School about 12+yrs now. It has a great little town but there are really not a lot of good shops. unless that has changed since my last visit in 2010..will ask her. Again I thank you and hope we can speak/e-mail exchange some info. Have a wonderful week. Marelen: Will check out “Trilogy ” community in Groveland Florida. What is the Name? Hello Ella. I’ll try to be gentle and still follow up on your question. Things come to mind such as empty storefronts on mainstreet, way too many methlab busts, and, perhaps, more trailer parks than where you might be located at present. Having said that, I still insist people seem to be friendlier around these parts, and will go the extra mile to help each other! Thanks, Doc. A very clear answer; that helps! I’ll see if i can find something like Waynesville, but less expensive for us. Have you been to Hendersonville? Hello Vicki, I really like Gulfport. There are so many wonderful little places there for sale. The public library there is supposed to be amazing. I thought about buying there, but then inherited a house I like very much. I think I would like it. Thanks, Doc. I love your answers! You are so helpful, and we tend to focus on similar items. You are much appreciated. Carolyn, thanks for the info, we are going to Naples for FEB/MAR and it’s getting way to crowded for us, I’m going to check out South Pasadena on the way down, it sounds exactly like something I have been looking for! Thank you. Can you tell me the address of your condo? My wife and I have lived in Cary, NC for over 30 years and yes it is very expensive here but nice. So if you have lots of money please retire here. We are going to move for our retirement. We are looking at Knoxville, Tenn. Does anyone have thoughts about this place and the surrounding area for retirement? Mike, How about the mountains in NC or SC? Much lower humidity. Also, SW Virginia in much less expensive than the area north of Roanoke. Any information, the good, bad and ugly regarding Murrells Inlet in S.C. Seems to be nice area with favorable housing prices. Wes, I own a condo 10 minutes from Murrells Inlet and can vouch for the area. Wide array of restaurants, world class beaches (including Huntington State Park), the area’s hospital right in town, plenty of shopping and far enough away from the honky tonk of Myrtle Beach. Brookgreen Gardens, a wonder of plants and sculptures, is within a few minutes. In short, if the housing prices meet your needs, you should be happy with the choice of Murrells Inlet. Prince Creek is one community with newer homes that are reasonably priced. Thanks very much for that information. I will certainly look at Prince Creek. I will definitely be making a visit in April. Wes, My wife and I love both Murrells Inlet and Pawleys Island for many of the same reasons that Larry enumerated.There are many housing choices in the area with a wide range of prices. Can’t go wrong with this area! Regarding earlier comment from Mike about DE being flat as a pancake – very true. My husband is from the area and we have spent vacations in Rehoboth. Our thought on high housing prices – and we were never house shopping in DE, looking further south – but the area has a lot of visitors from Washington D.C. area and many seem to want to live in the area or have vacation homes around the beaches in DE. Perhaps that is one of the reasons housing costs are higher. Larry, I have been following your comments with thanks. My husband and I have been looking in Southport, NC. However,our financial adv. is / has been pounding at us that NC is no longer a tax friendly state for retires. We did look in SC back in 2014,went up to Pawleys Island but could not find a realtor to help us….we are not looking to buy. We want to rent for the 1st year no matter where we go. I can not even image moving from NY to NC, SC or FL, buying a home and finding I’m not happy. To me that is not a smart retirement move. Do you know of any communities that rent? Do you know of a realtor in the area? We will be down in Southort in June. and would love to venture over to the Murrells Inlet area. Roseann, happy to provide responses to your questions about Murrells Inlet in the next few days. If you feel comfortable doing so, please send me your email address via my web site, GolfCommunityReviews.com (the “Contact Us” button). Thanks. To Larry and Roseann, my wife and I are also thinking about the Murrells Inlet and Pawley Island area. Have read good things, not busy crowded as the Myrtle beach area. Looking for a rental also before we decide to move to get used to the area. A 55+ community would be preferred so that there are activities etc available. Please share any info that you might come up with. There are some very good buys out there but I do not see them in a 55+ community. Dennis, Not sure I’m loving the whole 55+ thing. most are featured around golf..that said I feel you are paying for something you do not use. I’m so confused. Thanks so much. your site is acting weird at the moment. Will keep trying. thanks so much! Dennis, I will agree essentially with Roseann on 55+. First of all, there aren’t that many choices in some popular and livable areas (like Murrells Inlet). Second, you do pay for some things you may not use. If you only play tennis, say, do you really want to help subsidize the fitness center and other activities? Third, many non age-restricted communities are essentially composed of retirees. Pawleys Plantation in Pawleys Island, SC, for example, where we own a vacation condo, may have three or four families with children whom we rarely see., that’s it. The rest are retired or semi-retired folks like us. I would not get too wrapped up in searching for a legally restricted community when there are so many others that meet your criteria of mostly 55+ and things to do. You just need to conduct a bit of research on communities in the area. Roseann, sorry about the “weird” web site; hope you can gain access but, if not, email is editor@homeonthecourse.com. Thanks. Just a quick note about “subsidizing amenities you don’t use.” We live in a large neighborhood (not retirement) with a pool, tennis courts, boat dock, play grounds, etc. and yes, we pay a HOA fee and don’t use most of these extras BUT they are still maintained for the betterment of the community. They go along way towards the insuring the continued value of your property and resale gains. 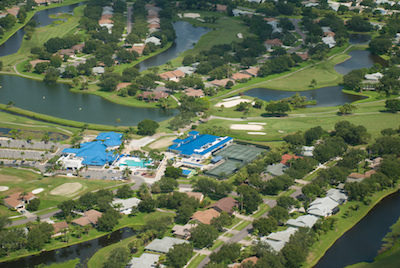 I do not see ourselves in a specified “golf community” since we don’t play but a place with fitness room, pool and tennis courts could be very positive factors when we go to sell later. I don’t mind paying for their maintenance. I read this. I read International Living. I read the post. I think too many people have unrealistic expectations. One person’s perfect place is another person’s hell. I’ve been retired for 12 years and have found there is no perfect place. One person here mentioned needing a very liberal place. Religious fervor is one of the things that killed much of the SE states for me. They really don’t like you when you tell them you don’t believe in a god. Also in regards to 55+ communities. I can’t think of anything more boring than looking at nothing but old people every day lol! So not finding one place that I want to live year round I’m a snowbird. I rent in the SW in the 6 winter months and at my home in the Midwest in the 6 summer months. It’s such a personal thing. I would not live in any of the 11 on this list. I am not sure where to put this, but to all you Floridians and anyone else in the path of this hurricane, please know that my thoughts and prayers and with you to stay safe. Alice, thank you. Hoping for the best. There will be a lot of people in Florida, and likely further north, who will be in need after the hurricane goes through. Special thoughts to John (with topretirements.com) and family, whom I think are based in Key West. Barbara. You mentioned health care concerns. Have you read the post in Dueling Retirement States: DE vs VA vs MD vs NJ… on April 7 2016 a “Bee Anderson” posted something you may be interested in. Thoughts and prayers to all in Florida. We just returned from Dunedin on Tuesday after a long Labor Day weekend what a beautiful place., also Palm Harbor, Tarpon Springs. Susan, thanks to you and the many people who expressed concern for us in Key West during the hurricane. Fortunately we were not there and our home is not damaged. We were lucky, and are touched by your concern. But we feel for all of the people affected in the Keys, where many damaged homes and no essential services mean life is going to be very difficult for a while. Meanwhile elsewhere in Florida and TX many lives have been upended by natural disasters. John, So glad to hear you and your wife are safe, and your home as well! What a blessing! Makes me wonder about the validity of weather reporting??? I guess like all other reporting – sensationalized! Ron, I loved your comment on averages and medians. I’ll remember that next time i have my head in the freezer, and my ….. So funny, yet so much truth in there! Confused – from Leon: My wife and I are struggling with where and when to retire. Because of life’s issues, we are very limited on our retirement funds. We will be looking at retirement finances of about $63000.00 yearly (with roughly $200,00 401K). That is about half of what we live on now. I am 68 and my wife is 65. It is hard to decipher where we could settle on such a limited income. When I look at the communities that are listed on your web site, we find most of them way too expensive for us. We are both in good health and are willing to do part time work to supplement our income. I guess my question is. Is there a place that we can go to look at communities that afford lower income couples It has been disheartening looking at all the beautiful places that we can’t afford. We are really concerned about taking the leap!! Editor Comment: Your retirement income will be a lot better than many people’s so you will have some options. If you use our Advanced Search you can find many communities that are not expensive. Usually, but not always away from the coasts. Good luck! Leon….As Admin stated your income is not low. If you would like to move to the coast of Oregon you can find condos and Mfg home communities in the low $100000s. That’s where we will be relocating to and our yearly income will only be $16000 yearly…. To the Editor – I was also wondering if you were safe and glad to hear that you are. These hurricanes are a huge disaster for so many, and for the country. We have to help get all of these people back to some semblance of a normal life. Wonder what those who don’t want government involved in their lives now feel. Weather forecasting is not an exact science but they do the best they can and those on the west FL coast had time to make preparation when the forecast was changed to the other coast at least. Every place we were thinking about going has been affected in some way. Sometimes I wonder if the snow and the possibility of ‘just’ a tornado are worth staying put. My heart goes out to all of them. Do you know anything about the fate of the key deer? I wouldn’t suggest you buy sight unseen because some Parks are Mom and Pop run and might be less reputable. My friend gripes that the rent goes up every year. Just like any other landlord situation. The Park where my friend lives is very well managed, roads are maintained and no unregistered vehicles are tolerated. There is also a pool and a community building. Mary11, living near or on the water can be dangerous and cost a lot for flood insurance. Has Greentrees ever had detrimental storms, hurricanes, tornadoes where the land under the homes have been flooded? Have you checked the cost of flood insurance? Greentrees does sound very affordable and nice location. There are expenses on older Manufactured homes. My friend has had a water leak from her pipes that caused the kitchen area floors to buckle and require replacement. She had pipes crack/split under the home and pipes had to be replaced. Her old furnace/ac unit was old and had to be replaced. Her skirting blows out quite often and has to be reattached. She had new railings put on her deck and a new set of steps put in. She had a sink replaced in the kitchen and had a bathroom renovated. Renovations and repairs are ongoing with older homes. Insurance paid for her water leak and one other problem. Lucky she has a talented Handyman she can call and he is reliable. flood insurance for a $100000 home costs approx $30 per mo. I don’t plan on purchasing a very old home unless the home has been updated from top to bottom. Greentrees hasn’t received too much damage from storms and they’re in the process of replacing all the pipes in their park. They have only increased their HOA by only a few dollars in the last 4yrs. Sometimes you can find a rental for $800 -1200 monthly too, so it might be better just to rent one. I’d prefer to own one but you do have options. It’s not easy trying to find the perfect place to live. I’ve lived in all 4 corners of the US and the best so far has been Sandiego but we can’t afford to stay here. Plus I’d like a change to start over new in a new place…. I wanted to suggest to anyone looking to buy a second hand Manufactured home, to take a handyman with you. Just like when buying a second hand car, take a mechanic with you. DeyErmand you are correct! My friend uses the handyman regularly. The guy will retire a millionaire! He is self employed, has several guys working for him and he takes care of one mobile home park. He operates by word of mouth and is so busy! He will drop everything if there is an emergency such as a broken pipe and water running everywhere. On top of his handyman enterprises, he also as a crew to mow lawns and shovel snow. Cha-Ching! Just like when buying a stick built home, when we made an offer on our manufactured home, we made it contingent on an inspection. And make sure it’s an inspector who is experienced with manufactured home in that area. Tom. Of course before any purchase of a home a person should make their offer contingent on an inspection,.. but taking a handyman, which is cheaper than an inspection, can give you some repair costs up front,…which can help to lower the price in negotiations. Just a note… flood insurance rates are set by the risk of flooding in an area. If you are in a FEMA determined flood zone, your flood insurance rate will be higher. Wanted to share this article from Southern Living on 15 affordable small towns we love. TX Art D – and not to take your thunder … but more info. Thanks Art and Rich, always appreciate your input. We have to have to laugh at some of these lists – maybe they are OK for people with school age children but not always so baby boomers looking to retire. For example the time.com/money list has Fisher, Indiana https://www.topretirements.com/reviews/Indiana/Fishers.html as #1. Topretirements drove through here this summer to check it out, based on hearing a lot of good stuff about it. What we found was a very affluent town that was absolutely beautiful, but spread out over miles and miles of roads. You had to drive everywhere (and we got stuck in traffic jams) and there is only a tiny little charmless town with a modern shopping plaza. You can’t walk or bike to anything it is so spread out. Overall your listings and reviews are well thought. However there is one you really should include re healthcare. It’s not enough to say there is a hospital. They can be 25 bed – 200. The tiny ones DONT have Level 1or 2 Trauma Emergency Depts. The smaller ones may also counting pediatric beds in their total. The smaller also may not have access to the specialists Seniors need. As an RN I have worked in hospitals with 25 – 500 patient beds. Capacity & Services available tip my health care list. Can someone mention an area of the country that’s not prone to natural disasters!! This is bad folks and it seems like it keeps getting worse. I’d love to hear from those that actually enjoy the 4 seasons of weather where they live! !